A new edition to the fabulous Giving Keys from LA based social entrepreneur Caitlyn Crosby. 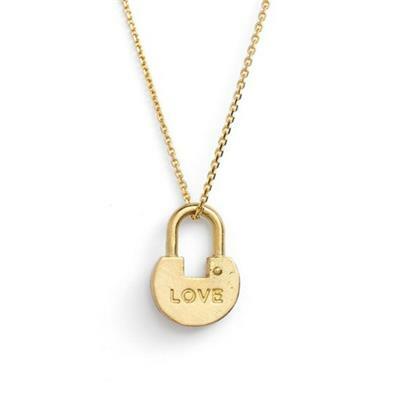 Beautiful padlocks are stamped with inspiring messages, worn on dainty Gold or Silver chains. Let the inspirational message inspire you throughout the day and know that you are helping people transitioning out of homelessness. Caitlin employs homeless people to hand stamp the words on the keys and locks, helping them get back on their feet.